One of the biggest lures into the world of freediving is the lack of equipment needed. 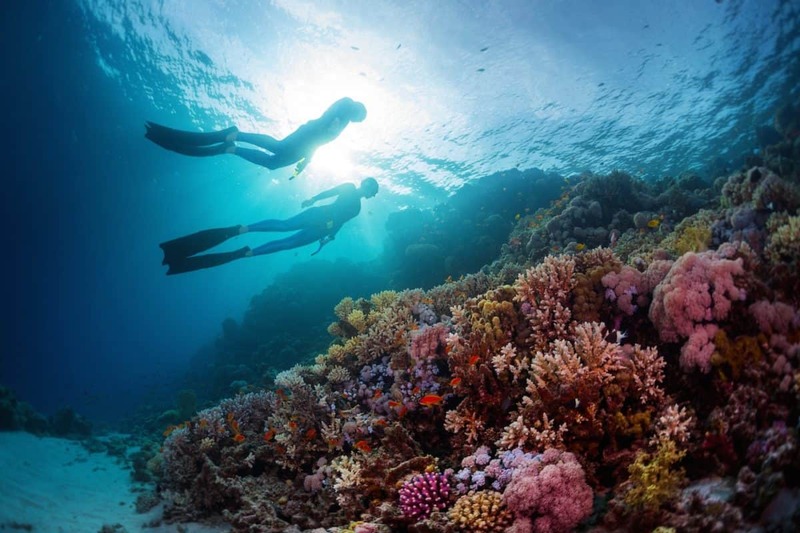 Submerging yourself void of bulky scuba equipment is sort of like a form of ocean liberation. 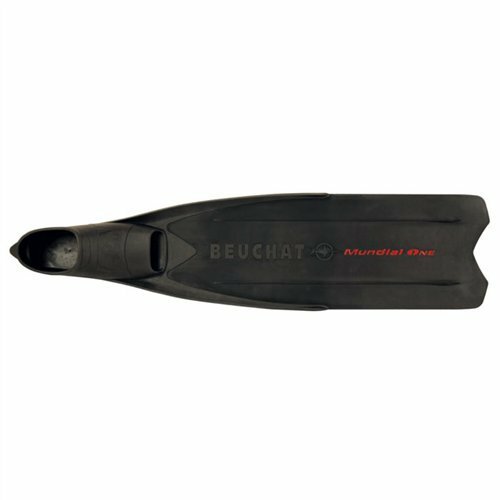 With help from a pair of long blade freediving fins, you’ll discover how easy it is to achieve depth. But what are the best freediving fins for you? Now worries, I’m here to help you. Freediving fins differ in length, stiffness, and material, but all serve the same purpose. The long blade design helps propel you deeper using the least amount of energy. Buying your first pair can be daunting but don’t worry, we’ve done the long hours of searching for you. 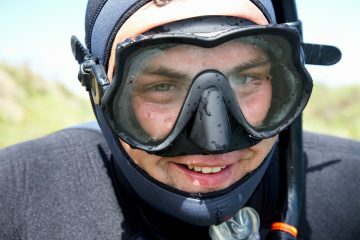 One of our big goals here at The Adventure Junkies is to make your life easier when it comes to choosing diving gear. Whether a beginner or a pro, this guide will walk you through how to find the best freediving fins for you. 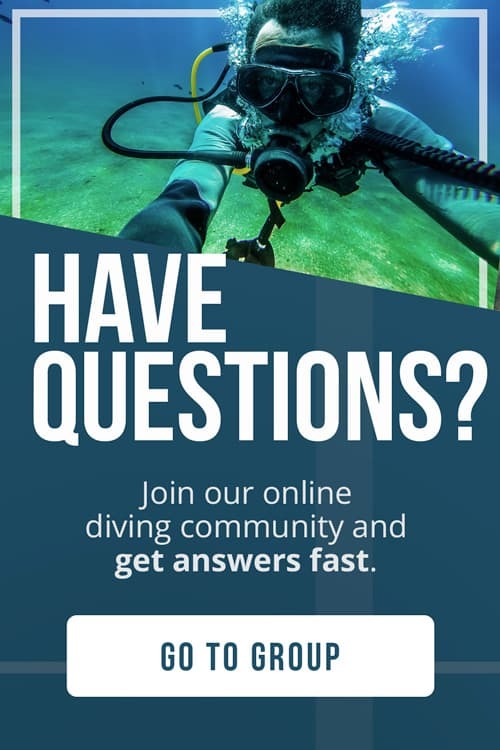 What’s your freediving level? Are you just starting out or are you getting to go pro? Remember, it’s about finding the fins that best suit you, not your dive buddies. Beginners can stick with the cheaper polymer plastic fins. There’s no point in buying expensive custom made carbon fins when you’re just starting out. 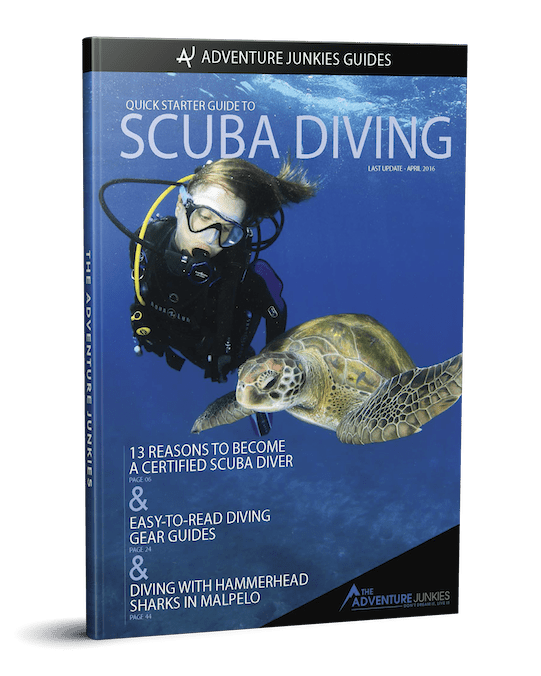 Intermediate & advanced divers, consider a pair of fiberglass or carbon fiber fins. 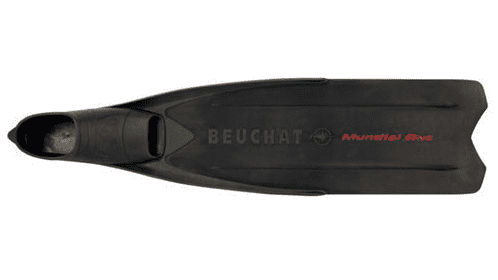 Freediving blades are either made out of polymer plastic, fiberglass or carbon fiber. POLYMER PLASTIC FINS are the most common type of fin. Despite the low price, they get the job done. Polymer fins are sturdy and can survive bumps and scratches from collisions. A big disadvantage to polymer fins is that the efficiency of the fin diminishes over time. Polymer plastic has a ‘memory’ characteristic. When used enough, the plastic blade will start to mold into a curved shape. Why should you care? If the blade curves, you won’t get as much out of your kick as you would if you had a strong straight blade. FIBERGLASS FINS are more expensive than polymer fins. The main advantage of this material is that fiberglass does not lose shape over time. They are also durable and can survive collisions and bumps underwater. 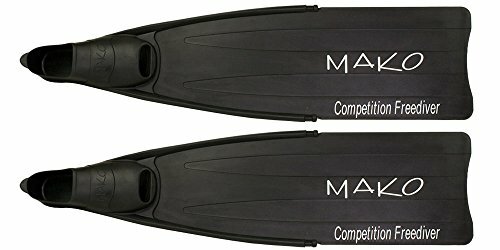 CARBON FIBER FINS are premiere level fins. 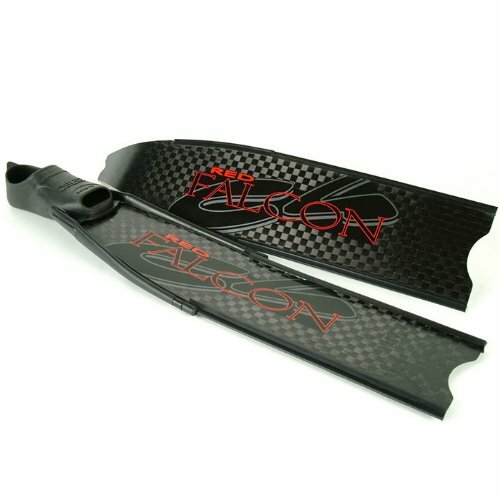 Carbon blades are much more efficient than fiberglass and polymer plastic blades. Fins with carbon blades have the largest ratio between propulsion and energy. They are nice and lightweight but also quite fragile and expensive. They are responsive and completely memory free, which means they’ll stay stiff and straight. They won’t bend over time like polymer fins will. FIBERGLASS: More expensive than polymer but won’t bend. CARBON FIBER: Most expensive option but most efficient option. 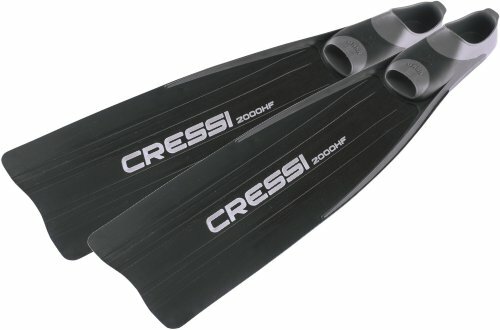 Freediving fins range from $80 for plastic fins to over $600+ for a pair of custom made carbon fins. It’s important to note that expensive fins won’t make you a better diver. A solid understanding of good technique is much more valuable than an expensive pair of fins. A snug fit into the foot pocket is crucial. A loose fitting heel means wasting precious energy. Often manufacturers size fins to be big as they expect you to wear a pair of neoprene socks with the fins. Make sure you understand the sizing system, especially when ordering online. Check the manufacturer’s website to find up to date size charts. Do you want to be able to swap out foot pockets and blades? If your answer is yes, consider buying foot pockets and blades separately. Although this option more expensive than non-detachable systems, they can be quite convenient. This system will allow you to buy foot pockets and blades from different brands. 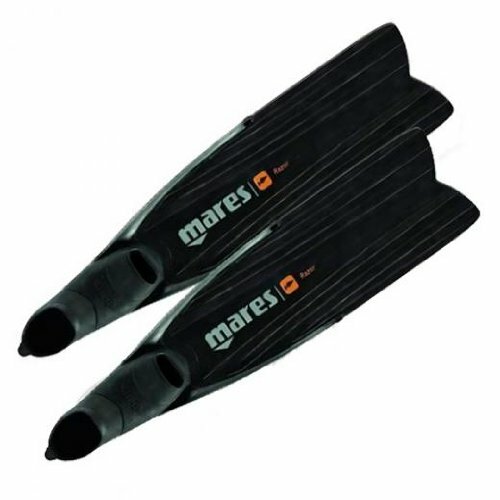 You’ll be able to get the perfect set of fins for your diving style. Another advantage is when you go to upgrade blades, you have the option of keeping your old foot pockets. This is a particularly nice aspect as breaking in a new pair of foot pockets is often painful. Often freediving fins are available at different levels of stiffness. To determine which level is best for you, you need to consider your body type and the amount of muscles you have. 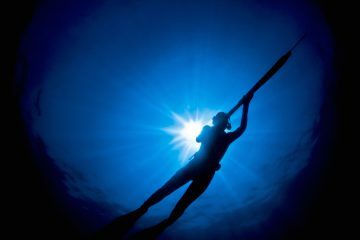 A freediver with long legs will produce a weaker propulsion than a diver with short, bulky legs. Soft Blades = Divers with weaker propulsion.